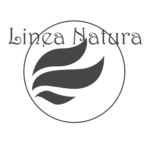 Linea Natura offers high-quality and natural hair care products from Italy, which are helpful in the case of a number of different problems, such as hair loss, sensitive scalp, and slow hair growth. 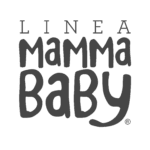 Linea Mammababy is a brand of natural body care products, which offers babies and young children, as well as other family members, a variety of different and necessary products. 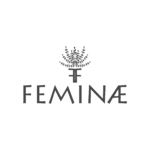 Feminae are the innovative products created by the most advanced Italian cosmetic technology. 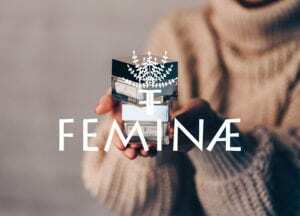 A fusion of luxury cosmetic textures and professional treatment create a unique excellence in premium skincare. 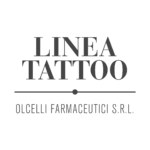 Olcelli Farmaceutici, for more than 70 years, operates in the chemical-pharmaceutical and food industries devoting particular attention to the hospital and healthcare sector. We created and developed a specific line of products for tattoo artist and body piercer, an increasingly professional world, which is in constant evolution, as we are. 500ml shampoo and 500ml hair cream. Thoroughly cleanses and leaves hair manegeable without build-up. Can be use daily on dry and sensitive hair. How to use: apply on wet hair, massage, rinse. Repeat the operation. Reinforcing treatment with vitamin E. That adds force to weak and stressed hair. How to use: apply after shampooing. Leave posing and rinse thoroughly. Ingredients: Aqua, Sodium Laureth Sulfate, C13-17 Alkane Sulfate, Sodium Chloride, Cocamidopropyl Betaine, Cocamide Dea, Bambusoidea, Placental Protein, Glycol Stearate, Cocamide MEA, Propylene Glycol, Polyquaternium-7, Citric Acid, Disodium EDTA, Methylchloroisothiazolinone, Methylisothiazolinone, Benzyl Alcohol, Parfum, CI 19140. Restores and vitality to the hair damaged by chemical treatments, and particularly dry and arid hair. How to use: apply on wet hair, massage and rinse. Repeat the operation. Thanks to linseed oil contained in the formula hydrates the hair from within by promoting softness and extreme shine. It helps to prevent the formation of split ends after chemical treatments. Non-greasy formula. How to use: apply after shampooing, leave in laying and rinse plenty. Ingredients: Aqua, Propylene Glycol, Cetrimonium Chloride, Myristyl Alcohol, Bambusoidea, Hydrolyzed Placental Protein, Citric Acid, Methylchloroisothiazolinone, Methylisothiazolinone, Parfum, CI 19140. 500ml shampoo, 500ml hair cream. With its formula, gives the hair gloss and a special effect silk. How to use: apply on wet hair, massage, rinse. Repeat the operation if necessary. Great detangling, penetrates deep into the hair, leaving it soft and silky. Combined with the shampoo guarantees a great regenerating treatment, fleshing out the hair from the inside. How to use: apply after shampooing. Leave posing few minutes and rinse thoroughly. Ingredients: Aqua, Sodium Laureth Sulfate, C13-17 Alkane Sulfate, Sodium Chloride, Cocamidopropyl Betaine, Cocamide Dea, Silk Protein, Glycol Stearate, Cocamide MEA, Propylene Glycol, Polyquaternium-7, Citric Acid, Disodium EDTA, Methylchloroisothiazolinone, Methylisothiazolinone, Benzyl Alcohol, Profoumo/Parfum, C.I. 19140.